Jonson Mono Filament tape or strapping tape is a pressure sensitive tape used for many packaging purposes like as closing corrugated fiberboard boxes, reinforcing packages, bundling items, palletunitizing, etc. 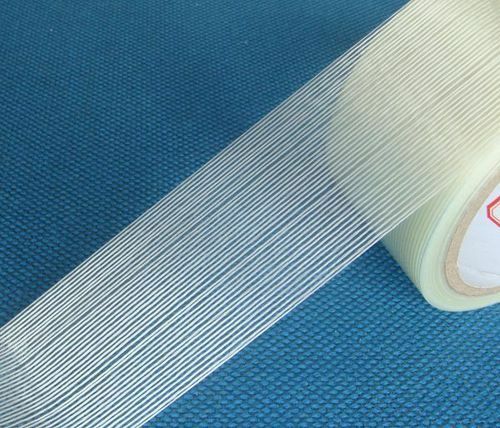 It consists of a pressure sensitive adhesive coated onto a backing material which is usually a polypropylene or polyester film and fiberglass filaments embedded to add high tensile strength. It is also usful for export packaging of corrugate boxes. Packaging Details 2" X 50mtr 72 Rolls In one box.